It’s cold enough to snow, so why not start planning where you’re going to ring in the new decade? 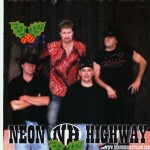 East Coast recording artist, Rik Reese & Neon Highway are returning to Miramichi to help ring in the New Year at Cowboy’s Club. The country rockers were in Miramichi last June on the line-up with Blue Rodeo at the Miramichi Culture Fest and are looking forward to the always responsive, participative crowds in “the Chi”. “The people of Miramichi once told us, ‘we like to giver on the River,'”, said Reese. Since then, Reese and his band have inserted that now sing-along Miramichi slogan, “Giver on the River”, into a medley of CCR numbers they are sure to include this coming New Year’s Eve!